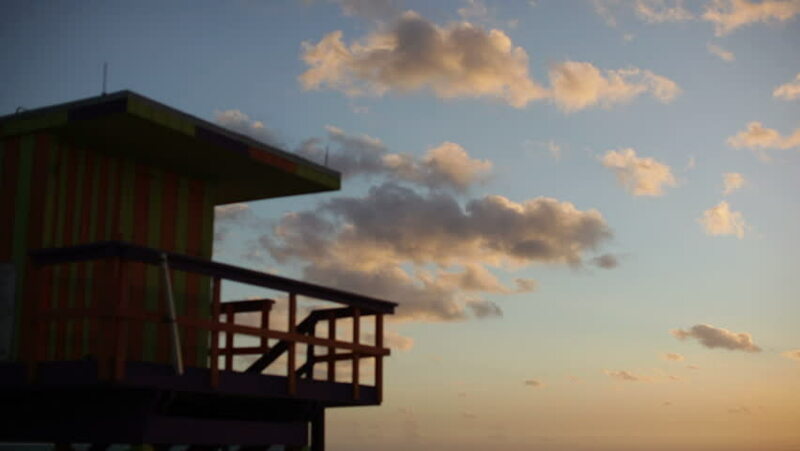 hd00:43Sunshine over Miami Beach with Lifeguard tower in a typical colorful Art Deco style, Atlantic Ocean in the background. World famous travel location. 4k00:57Lifeguard tower in a typical colorful Art Deco style at sunshine, with blue sky and Atlantic Ocean in the background. World famous travel location. Miami beach, Florida. hd00:09Brisbane, Australia - June 8th, 2014: Night time, time lapse of the beach at The Spit in the Gold Coast. Features the Surf Life Saving lookout tower. 4k00:19Penang, Malaysia - 6 APR 2017: Timelapse sunset below jetty Batu Musang. 4k00:10Miami Beach, Florida, USA at dawn.